Throughout our life, we do many things that can affect other people we have around us and, in some cases, they can even affect our descendants. Our legacy is something that we normally don’t think about, but it is something that will be remembered and will still have an impact in the people we lived with, even after we die. Should we worry about the legacy we are leaving? 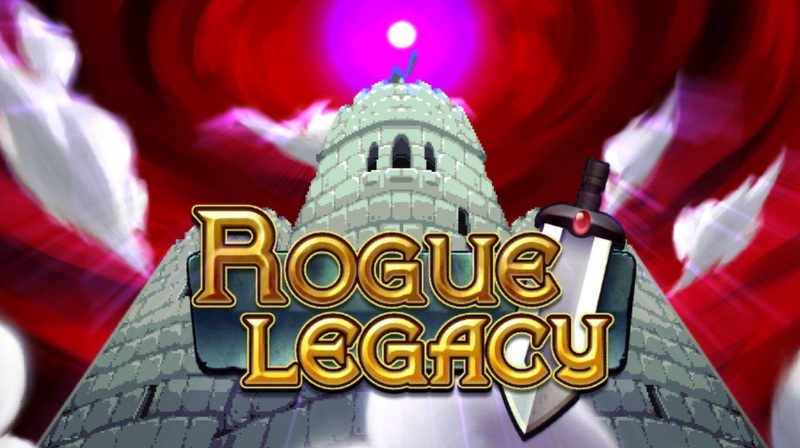 Legacy and descendants are the main ideas behind Rogue Legacy, a game developed and published by Cellar Door Games. Originally released in 2013, Rogue Legacy is a Rogue-lite game that, in each playthrough, you control one descendant in a family trying to go through a randomly generated castle. Finally releasing on Nintendo Switch 5 years after, will this game leave an amazing legacy in the player’s life or will it be a dark legacy that many will want to forget? When you start playing the game, you are introduced to a tutorial, but it also sets the tone to the story. The Knight Johannes goes to the Castle Hemson in search of a cure to can heal his father and his family from an illness. He never comes back and so, each new descendant decides to go the Castle and follow on Johannes’ footsteps. This plot sounds and ends up being very simple, but also ends up being a neat detail to add more info to the player adventure. It sets the mood well and through the dairy entries, you can find in each playthrough, you start to understand more what happened with Johannes and with the search for the cure. Is a neat development that may go unnoticed by many players, but that certainly helps give this game an extra charm to get us hooked. Aiming for a beautifully design 2D art, Rogue Legacy’s visuals are still easily understandable and very well done 5 years later. It is easy to distinguish what each object is and what are enemies and background and object props. That also comes in handy to help you understand and memorize what each enemy is capable of doing, and that is essential since this can be the difference between life and death. I also have to emphasize that each character you play as, even though won’t be that unique, will still have details that reflect the equipment in use, the gender and can even reflect some of the personality traits of that specific individual (more on that later). To corroborate with the quality in design, the animations in this game are also superb, and can be easily readable by the player, helping him escape from that certain death. Combine that with the fact that there is also an indicator when a projectile is coming from off-screen and you have a game where every detail of visuals aiding the gameplay was thought. Finally, I’d praise the added-detail of “2D-fying” a 2D character, thus making it look even more as a unidimensional sprite, due to the fact that the character has a trait, in which can’t see in 3D. The score and sound effects may be the weakest part of the package, but that doesn’t mean it is bad. The music and sound effects are really fitting to the adventure that you are going through and really pump you to continue. But in the end, they ended up being the part that I least remember and pay attention, only really coming to mind when I find the jukebox in some of the special rooms. Now, the star of Rogue Legacy is the gameplay and it is composed of many characteristics that make the complete experience. The first element is the randomization of the Castle. Each time you enter the Castle, its layout is randomly generated using a bunch of pre-set room designs, including the boss room and some special rooms such as challenge rooms, and enemies. This way, it isn’t so easy to notice that a room is repeating and this variety gives each playthrough its own feeling and sense of mystery. Of course, you have the option to keep the same layout on the next time and get less money, and that is very useful when you want to try a challenge you failed again. Another element that adds to the experience is the descendants. Each time your character dies, he is permanently dead and so, a new descendent is chosen by the player to continue the previous’ legacy and face the dangers of the Castle. Each of the 3 options available can be from different classes and magic weapons that can impact how you play each round. Still, the mechanic that is a real game changer and unique to this rogue-lite, are the traits. Just like real people, each character has its own characteristics that can really impact the playthrough in positive or negative ways. One can be small and have a vision impairment. Another can’t read texts properly while also not being able to see in “3D”. This concept is amazing and works incredibly well, making me adapt in each round to the already challenging game. Finally, there are the upgrades, such as The Manor (where you improve stats and unlock new classes and updated versions of classes), the blacksmith (where you can get new equipment to improve your stats) and the Enchantress (where you can get runes that give new abilities and can alter the difficulty of the playthrough, making this challenging game a little bit less demanding). All of that makes each gaming session unique and always pushed me to play just one more game after another. And even with the fact that it can be really challenging, I never felt that I lost enthusiasm to play another round. Rogue Legacy is a game that impressed me with the initial concept and that also got me even more surprised when I discovered the inner details behind and beyond it. In the end, I fell in love with this game and even though, there are ways to improve it even more so, it is a game that will still be played by me for a good amount of time. I really recommend for all of those that are rogue-lite fans and that really liked the concept and the many details that I talked throughout the review. Now excuse me, I will play one more.